Download Free Summer Party Flyer Design PSD. 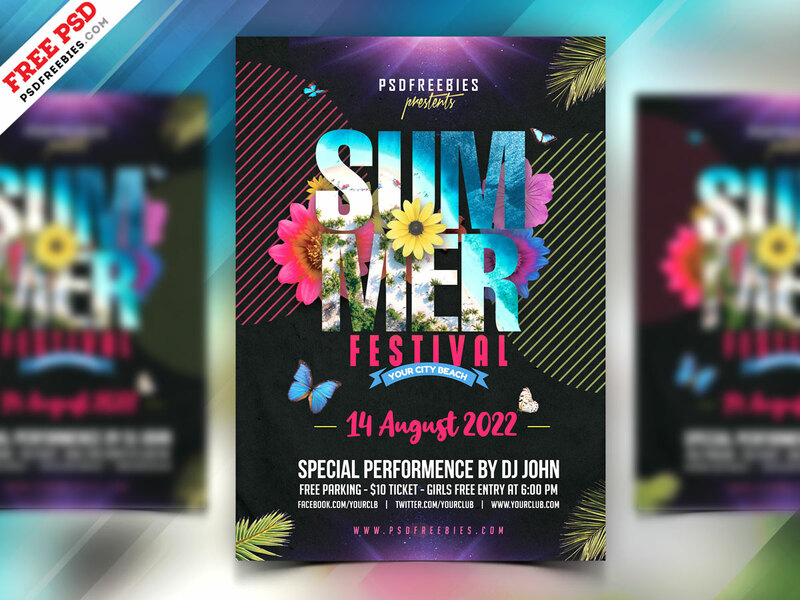 This Summer Party Flyer Design PSD perfect to promote your summer beach party, summer festival, summer music concert, or any summer events. This Summer Party Flyer Design PSD is suitable for any kind of bar, cafe, lounge advertising purposes. The PSD file is A4 Size 300dpi very well organized in folders and layers. You can modify everything very easy and quick in Adobe Photoshop. The Summer Party Flyer Design PSD is available for Free Download.